We meet in the Emmanuel Church building in Weston Favell Shopping Centre. We do our very best to make everyone welcome. Whatever amount of faith you have, we’re excited to meet you and see you accept God’s offer to be part of His family. We love meeting people with lots of faith and, equally, love meeting people who don’t have much, yet. We hope we’re a family where you can enjoy exploring what faith means. When you join us for worship on Sunday you’ll find that most of the words for the service will be on a screen, so you won’t have lots of bits of paper and books to fumble with. We aim to be relaxed, so if you happen to be late, or need to pop to the toilet part way through a service, that’s totally ok.
It’s totally ok to join us and not quite know what’s going on. We’re all learning together. The people leading the service should normally explain where we are and what’s happening, so don’t worry. There are no hard and fast rules about when to stand up and sit down. A lot of us (including the Team Rector) can’t stand up, so we don’t. We are aiming to create a space where you can meet with God in a way that works for you and as part of our family gathering. We hope you’ll enjoy being with us! You can enter the church from the bus bay on Billing Brook Road or from the Weston Favell Shopping centre through the coffee shop. 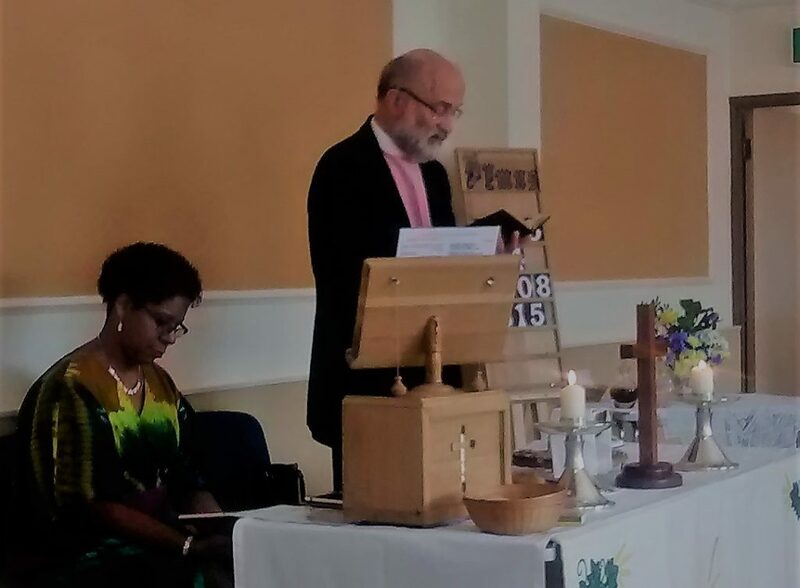 We are a friendly congregation of about 40 worshippers with a strong emphasis on pastoral care. Like the rest of the Emmanuel Group we are a mixture of denominations. We have lots of activities going on within our own church family and the wider community and these relationships are valued and strengthened as we represent Christ. With the Lord’s help we endeavour to share the love of Jesus among us as well as developing and growing in our own relationship with God and to actively seek to extend God’s kingdom in Boothville and beyond. Our services take place at 10.30 am. Afterwards we enjoy fellowship over a coffee. 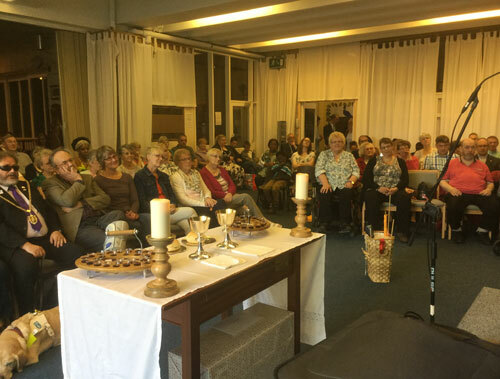 During the course of the month there are usually two communion services. We keep certain traditions throughout the year eg. an Act of Remembrance outside around the Boothville sign,a traditional Harvest Festival, a Christingle Service. Once a month we have a discussion group either included in the service or in a separate event afterwards. This is followed by a meal together. Each year we are involved in the door to door collection for Christian Aid. We try to cover the whole of Boothville. We also hold a coffee morning or similar at the beginning of Christian Aid week. Three times a year (Easter, Harvest and Christmas) we visit a local care home to sing with them. We try to plan events which involve our community and we also support local charities in various ways. 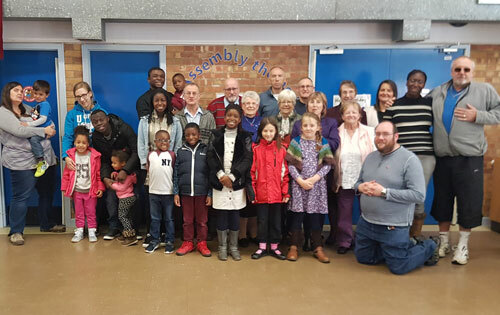 We have a strong link with the community through the Boothville Community Choir, which consists of both church and non church members. We meet at 10:30am each Sunday in Boothville Community Centre.This is situated in the lane beside the hairdressers in Booth Lane North. We have been meeting in Rectory Farm for more than 25 years now. We are a Church for the community, seeking to serve Rectory Farm and the surrounding area. 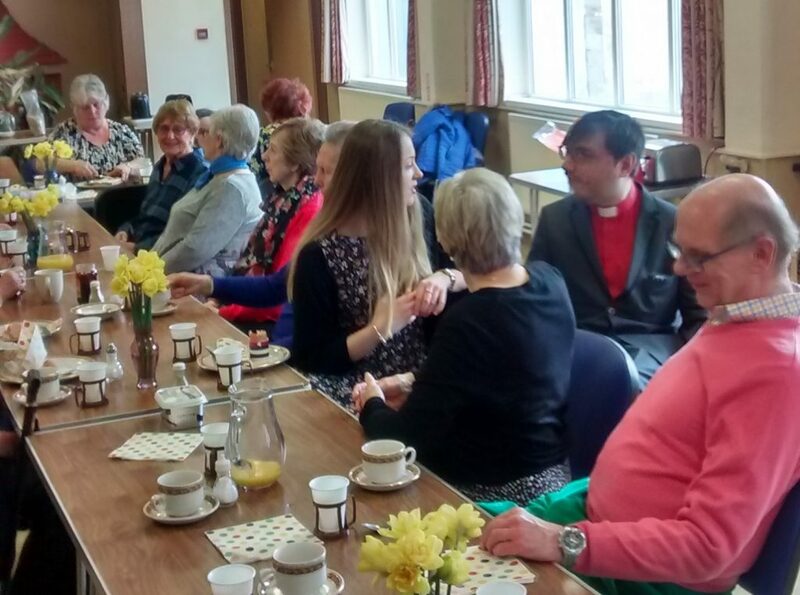 Just like the Emmanuel congregation, we aim to be as welcoming and relaxed as possible. We are delighted that many times when people visit us for the first time they tell us afterwards that they immediately felt part of things and that they really enjoyed spending time with us. Hopefully you will, too. …start at 10:30am and on 2nd and 4th Sunday of the month there are separate groups for children and teenagers. On the other Sundays of the month we worship all together – something we love to do! We run a Youth-Club for 8-13 year-olds called R-Zone at the Rectory Farm Community Centre. The doors open every Friday 5 ’til 6pm.